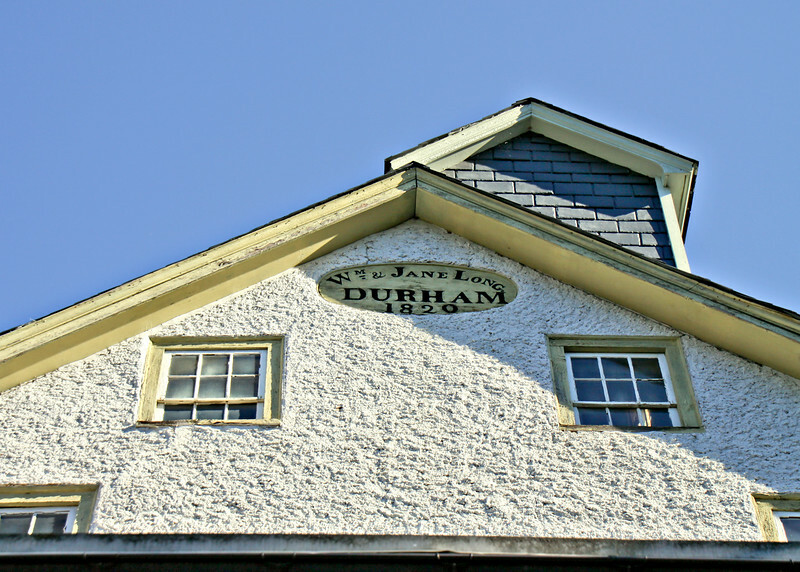 and took a little jaunt west to the tiniest, little, historic village of Durham, PA. Here we found the 2nd oldest US Post Office in the country! Around the corner on the building is this beautiful mural. the original was painted about 1910. 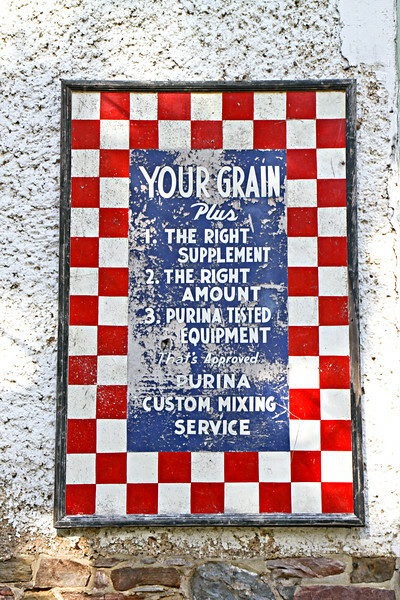 The Grist Mill operated from 1820-1967.
after which the mill was used for Livestock Feed. The structure is on the National Register of Historic Places...as it should be! 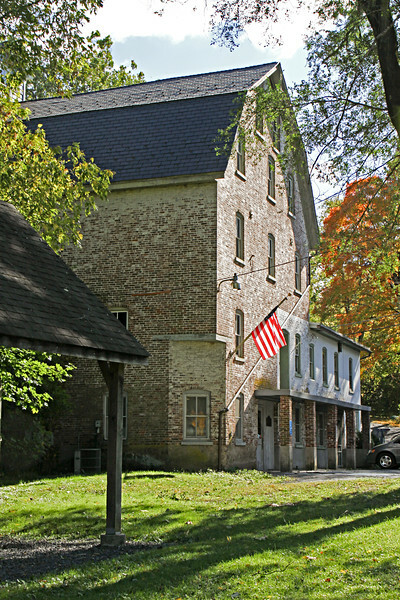 The Grist Mill is built on the foundation of Durham Iron Works which dates back to 1727.
for the Continental Army during the Revolutionary War. and appears to house local govt. offices along with the Post Office. 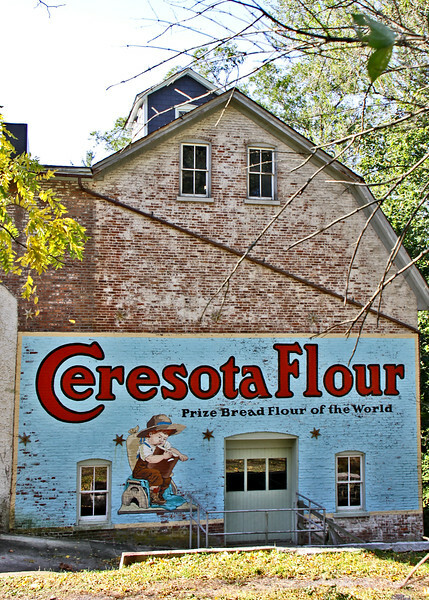 Meet the Ceresota Flour Boy! Sure is a cool place! Oh what a good bike ride. I really love those murals. Somebody has gone to the trouble to resurrect some old-timey advertisements. Love it. Great old building and really adore the serious look on the boys face from the mural! Very cool! Enjoyed this peek of Durham PA. That post office building is exceptional, and not at all what one would picture as a post office. Love the mural. Great shots! Looks like a cool place! 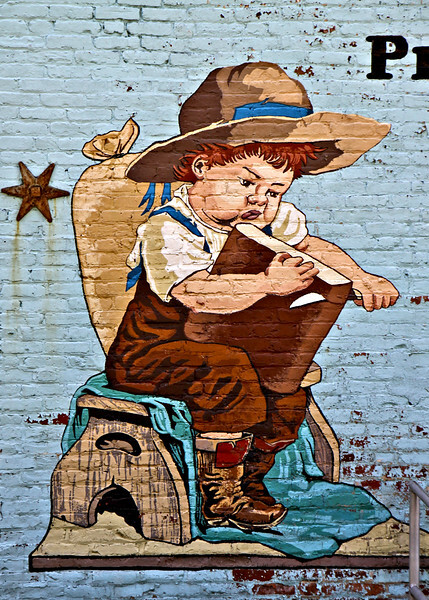 Love the flour boy painting on the side of the building. I've tried and tried to link up, but for some reason it won't allow me to enter my link. I may try again later! I like your mural find, Rebecca. It seems there are more and more of these popping up around the country. We saw several today driving up to Iowa from Texas. I like the P.O. building too. Is it still a funtioning post office? Love these photos of the mural and old post office! I cannot link to my post for some reason! It keeps giving me someone else's blog and won't let me over-ride it to put mine! I have tried a few times! So I am putting mine here for now! Back again! 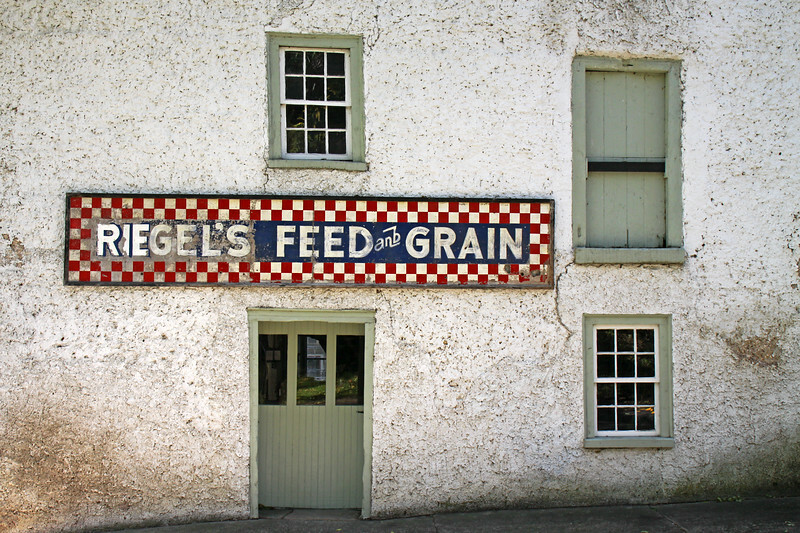 It is www.rebeccahaegelephotography.com that keeps appearing where I should put my URL! Not sure why! Thanks so much for linking me up Rebecca! You were so prompt! How cool to be able to see the 2nd post office ever! Loved the little tour!